Wolf Paving is a family-owned asphalt paving and manufacturing company with over 75 years industry experience. They specialize in designing custom asphalt paving solutions for commercial, residential and municipal asphalt projects throughout the greater Milwaukee and Madison area. 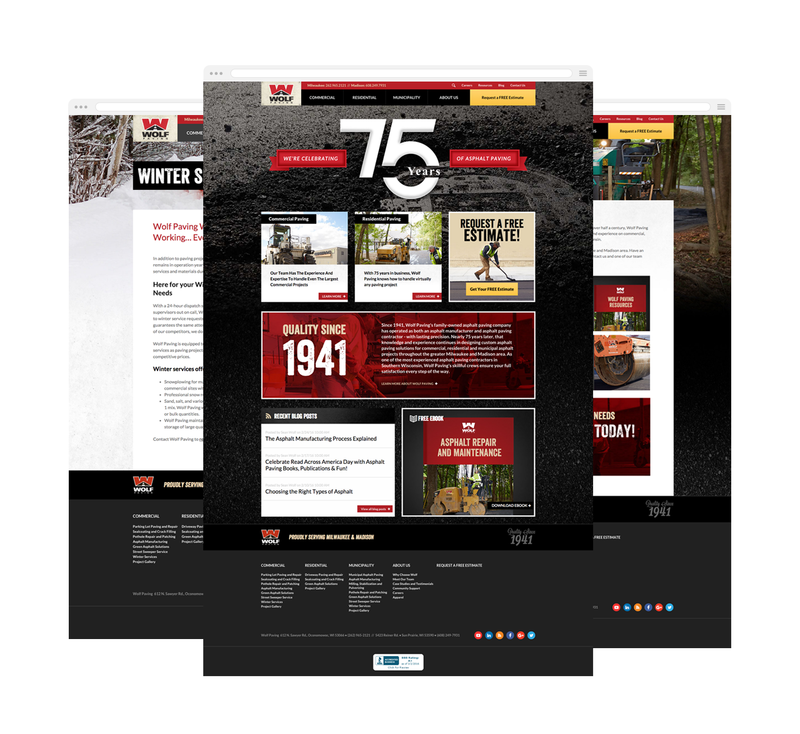 Wolf Paving began working with Stream Creative in 2011 and by 2013, moved all their marketing to Stream Creative who put together an integrated marketing plan using inbound and digital marketing strategies and tactics. 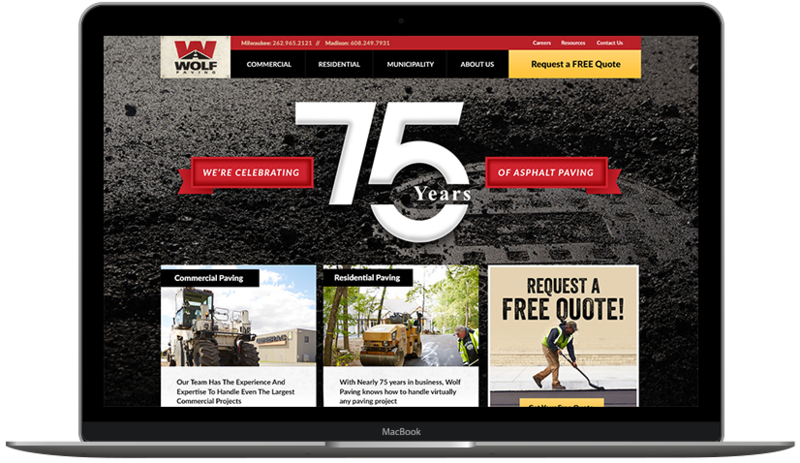 In the past 3 years, Wolf Paving has seen their website visits triple, and contacts double, have over 10 pieces of premium content to download, expanded their video library and have been interviewed and featured several times in local business and trade publications as a leading expert in the asphalt industry.